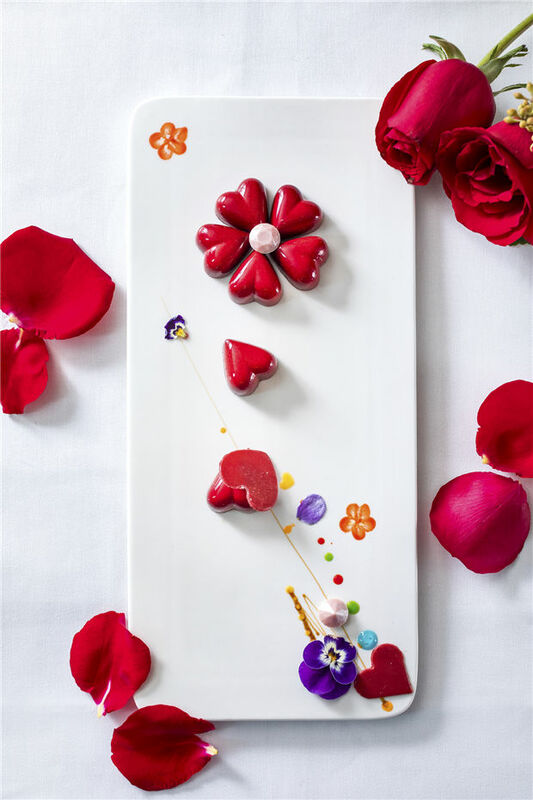 From a romantic dinner overlooking the city in the renowned Catch up in the cloud, to an intimate time in the breathtaking view rooms, Four Seasons Hotel Guangzhou is the destination for romance this Valentine’s Day. Indulge in an intimate dining with beloved one in the room just by a simple call to the in-room dining. The menu offers a 3-course experiences which includes Wagyu beef, lobster and finishes with a creative Lampone with white chocolate. Book the menu one day before arrival and the menu starts from CNY999* per set for two, wine pairing is included. *One day advance booking is required. For reservation, please contact 86 20 8883 3881. 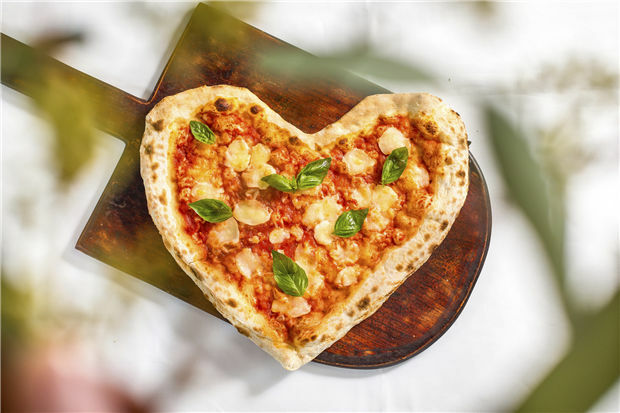 Let the night of Valentine immerse into a feast of lavish Italian cuisine. A wide selection of handmade pasta and pizza, antipasto, premium oyster and seafood will be offered. A rose and a box of chocolate are as special gifts for each couple. Spoil your beloved one with a romantic dinner at Japanese Restaurant Kumoi. Chef Masa has prepared a special set for couples, including freshly delivered sashimi and sushi platter, fine beef from Australia, and complete with the Sweet potato dai-fuku mochi. A special set of three-tier English Afternoon Tea provides a love twist for couples. 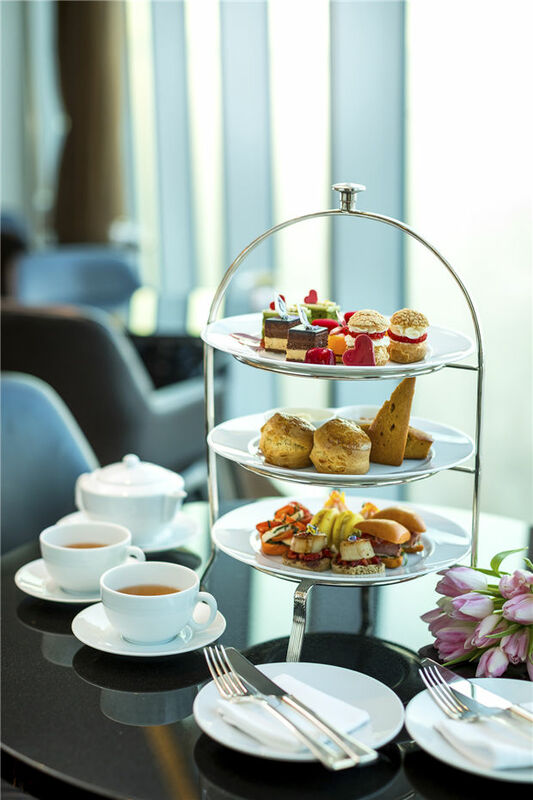 Along with a fine selection of premium teas and coffes, savour finger sandwiches, and freshly-baked patries, including highlights such as Yuzu Matcha green tea Opera, Strawberry Mini Choux, and the signature Four Seasons Chocolate & Coffee slice cake. CNY520* per two persons, including tea or coffee and Valentine’s Day special mocktail for two. 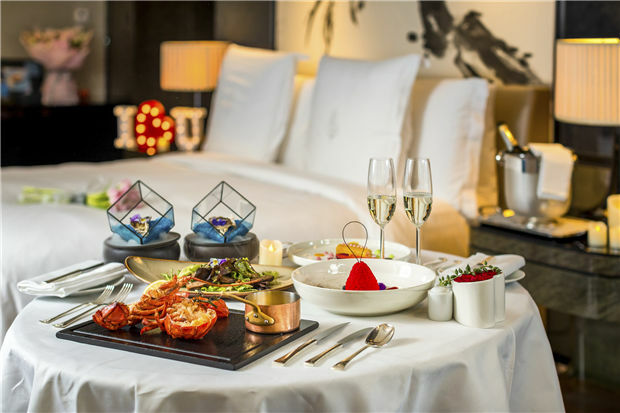 CNY920* per two persons, including champagne and Valentine’s Day special mocktail for two. Perched on the 100th floor of the hotel with spectacular views overlooking the city skyline, Catch begins this romantic affair with freshly shucked premium oyster, with highlights including Wok Fried Iberico pork collar, Wagyu Beef “Carpet Bag” and continues with a Wild Strawberry Mousse and signature Four Seasons Chocolate Tart. 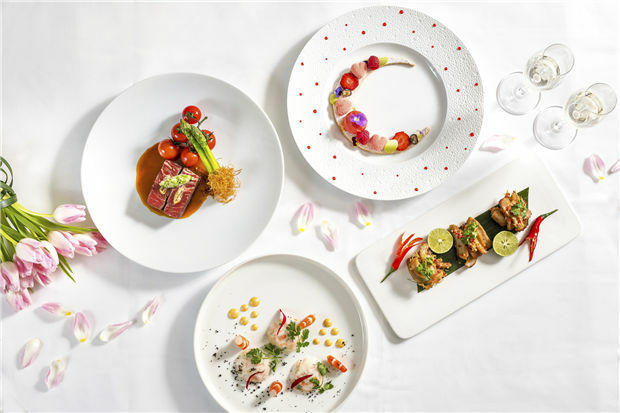 The menu will be offered at CNY2,388 per two persons including a bottle of Perrier Jouet Brut and CNY3,288 per two persons including a bottle of Perrier Joust Rose Champagne. For reservation, please contact 86 20 8883 3300. **All prices are subject to 15% service charge and prevailing government tax.